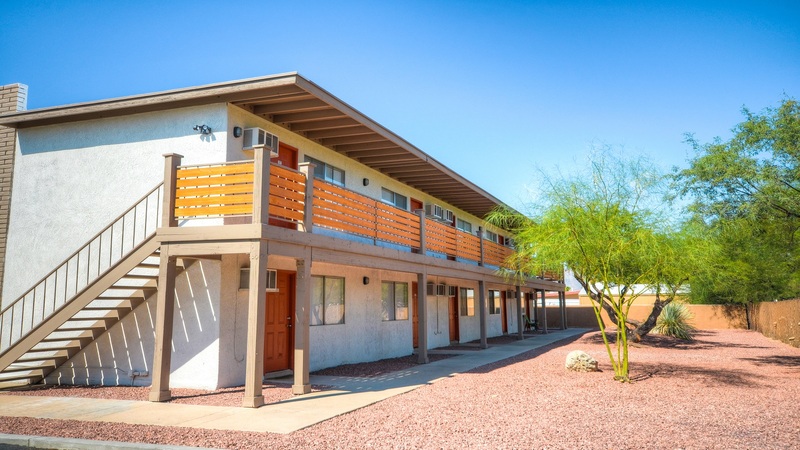 Phoenix, AZ – March 2, 2018 – ABI Multifamily, the Western US's leading multifamily brokerage and advisory services firm, is pleased to announce the $2,385,000 / $35,597 Per Unit sale of The Sycamore Cove Apartments located in Tucson, Arizona. Sycamore Cove is a two story, garden-style apartment community, built in 1979, extensively renovated in 2017, which rests on approximately 1.63 acres. The property was built of wood frame and stucco, with flat roofs. The property boasts a mix of 67 Classic, and Renovated, Jr. One-bedroom units with a weighted average size of 400 square feet. Sycamore Cove amenities include swimming pool, picnic area, laundry facility, fenced in dog-park and ample parking. "Tucson, as a whole, is receiving tremendous investor interest from across the country and world for that matter," states Alon Shnitzer, Senior Managing Partner, and lead broker for the Seller in this transaction. "First, the region has experienced sustained job and population growth and secondly, perhaps more importantly, there is very little in the way of new multifamily construction to hamper the continued work force housing demand." "The Buyer, a private California-based family partnership, has been seeking to diversify its Tucson real estate holdings and this purchase will mark the buyers 1st multifamily purchase in Tucson," states Jon Ibrahim, Vice President, and lead broker representing the Buyer. "The purchase of Sycamore allows them to purchase a substantially renovated project with upside should they finish the remaining interior unit renovations." The Buyer is a private California-based family partnership.